It is always a good time to add a water feature. Our birdbath in a shaded corner of our yard is a very popular place to visit on a hot afternoon. Each day we check the water level. We add clean water daily. The high temperatures increase the rate of evaporation. Almost immediately after we add water, a Blue Jay or two will land on the edge, jump into the water and splish splash until clean. They move up into a tree to shake off. The little birds, like Wrens come by in a pack of ten or so. They are very social and chatter while they bathe or wait for their turn in the water. The birdbath is like a beacon announcing open for business. The birds drink and bathe. The squirrels come by for a drink, but the bees are our favorite. The bees seem to sense that water is being added. They arrive in a small group and hover above the birdbath waiting for the water to stop. Once stopped, they land on the rim and drink from the full bowl. It is fascinating to watch. And, you feel like you have helped everybody out with a cool and refreshing drink. 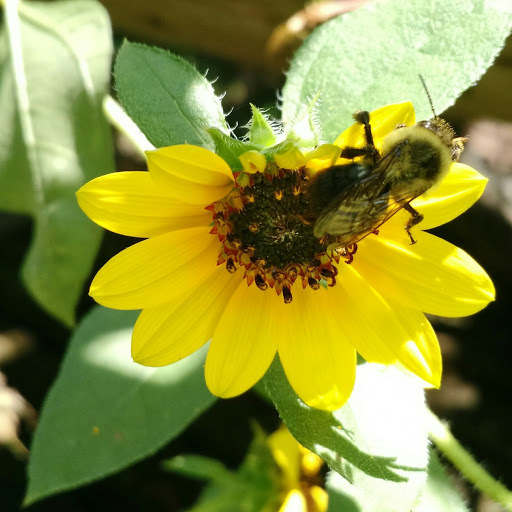 The bees help pollinate my veggie plants and my citrus. The birds bring the gift of song and sometimes a mystery plant from afar. The squirrels give my puppy some exercise. And by providing a water source, the squirrels, will leave my tomatoes alone. Most tomatoes are consumed in search of liquid. The birdbath provides both a distraction and a water option for the squirrels. Add a birdbath to your yard… It is like a tiny waterpark that never closes. Sit back and enjoy! Having healthy soil is the cornerstone of success in your garden. It is impossible to have a successful garden without first having happy, healthy soil. Fortunately, healthy soil is easy to obtain. As I researched this article it became clear to me that I could write a book on soil biology. To make things simple there is really only one thing you need to know, your soil is a living ecosystem all its own with its own needs to keep it healthy. As you work in your garden you need to think about what is good for your soil as well as what is good for your plants. One teaspoon of a typical, healthy soil contains more living organisms than there are people on earth. Pretty mind boggling right? We have all seen beetles, earthworms and other animals living in our soil. Algae, bacteria, fungi, nematodes and protozoa are all microorganisms living in the soil that we can’t see. Soil requires all these living organisms to be healthy. These are the organisms that supply nutrients to our plants. Keeping our organisms alive requires organic matter, macro and micro-nutrients all found in most organic fertilizers. The key to keeping your soil healthy is organic practices. 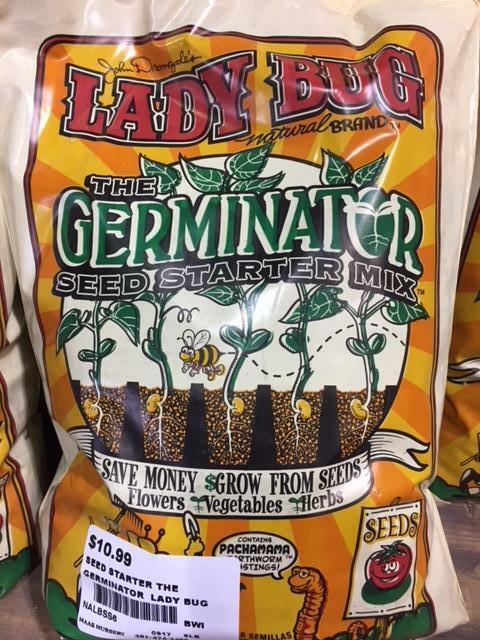 Organic fertilizers feed the soil and add organisms back into your garden. Compost, such as leaf mold, adds valuable nutrients to the soil. This is the food that the microorganisms live on. Humates are like concentrated compost. They consist of a combination of humic and fulvic acid which is produced by degradation of dead organic matter. In short, it is super compost. 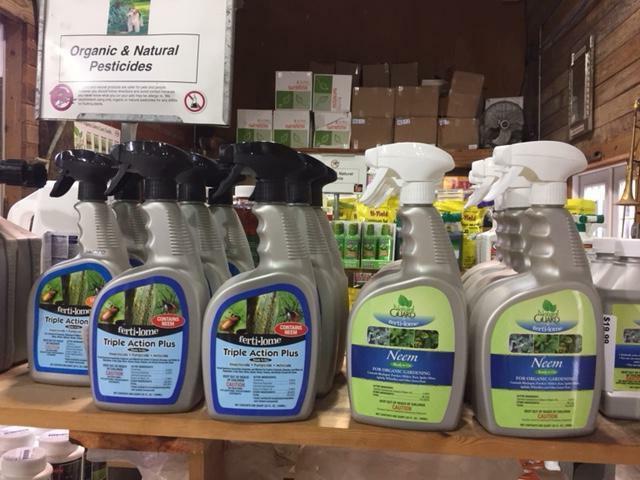 Using these organic products on your yard and garden give your grass and plants a tremendous boost and make them stronger and better able to survive disease and weather stresses such as drought. In contrast, chemical fertilizers do not feed your soil microorganisms. In fact, chemical fertilizers produce salts that harm the living soil. Your plants and grass become completely dependent on the fertilizer for their nutrition, destroying the soil in the process. Switching to organic methods can rejuvenate the soil and restore healthy microorganisms. Biological inoculants are used to restore your soil faster and to get rid of toxins. Bio inoculants contain beneficial bacteria and fungi, along with food for these microorganisms, to replenish your soil. Macro nutrients required for healthy soil are Nitrogen, potassium, phosphorous, calcium, magnesium and sulfur. Each of these chemical elements contributeto different plant processes. For example, nitrogen is the building block for most of the plants parts especially the leaves and stems. It’s what keeps a plant green. 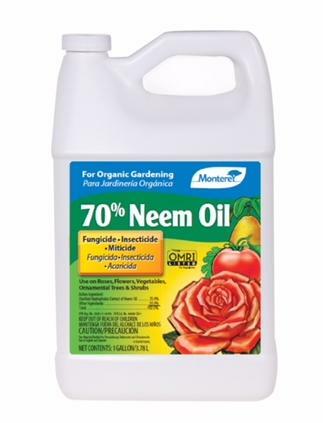 Potassium and phosphorous help with the plants blooms and roots. All of these elements are essential to a plants health. Organic fertilizers provide your plants with these elements in a form that is easy for a plant to use. 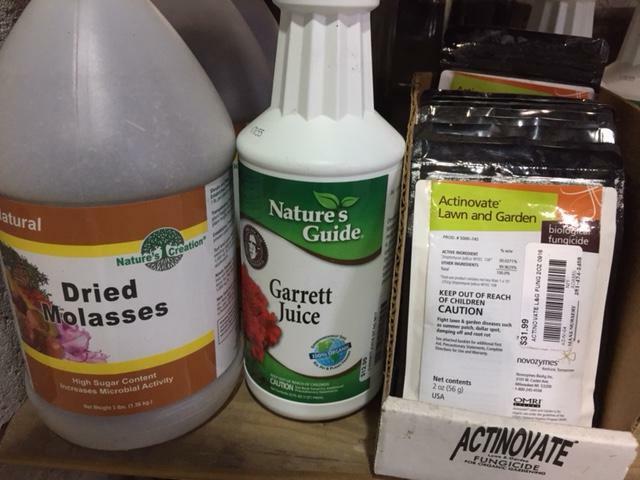 These fertilizers also contain microorganisms that help the plant absorb these elements. Micro nutrients such as iron, manganese, zinc and copper are also needed for plant health. Healthy soil and good organic practices will provide all these nutrients. To keep your soil alive, no chemical pesticides, herbicides or fungicides should be used. If a chemical kills your grass or the bugs in your yard, it will also harm your soil. 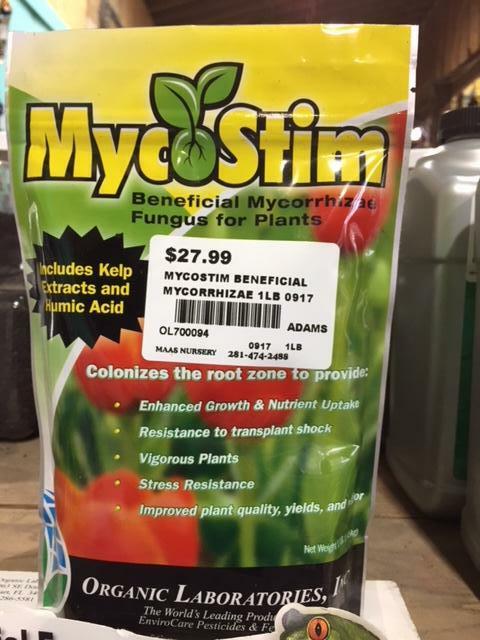 Because fungi and mycorrhizal fungi in particular are critical for nutrient uptake by your plants, it should go without saying that fungicides are devastating to your yard and garden. 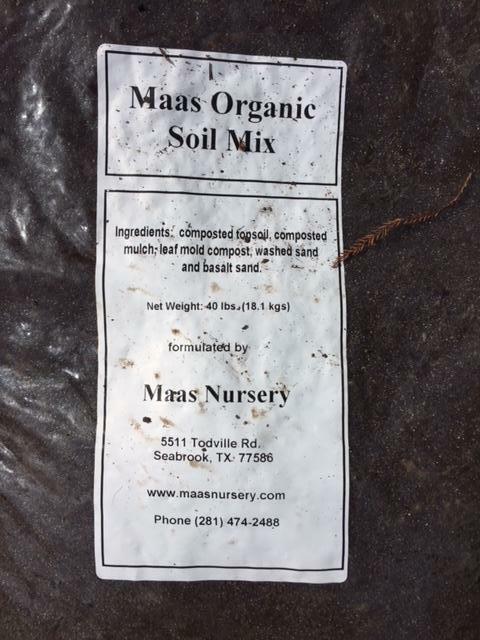 At Maas we have a vast inventory of organic products that will take the place of any chemicals you need to use. 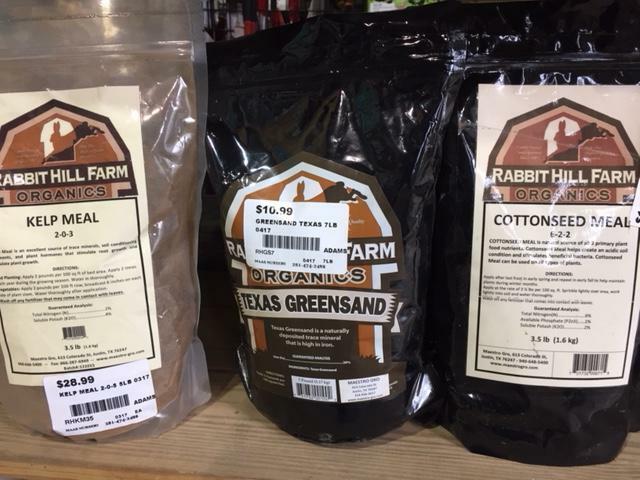 We have premixed organic soils for your yard, garden and pots. 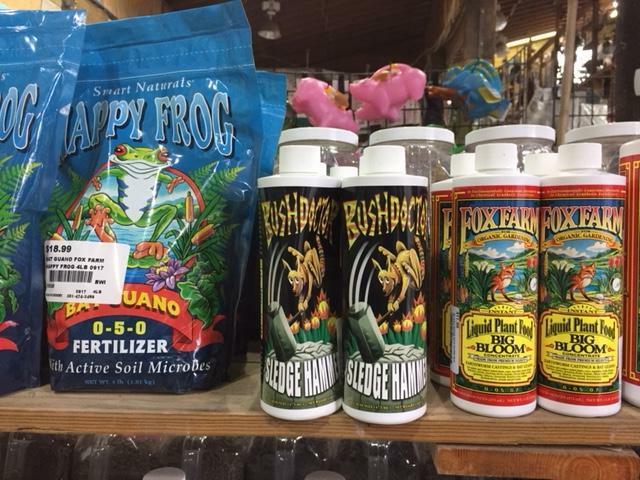 The nursery has a vast array of organic fertilizers and soil additives for any type of plant or problem. 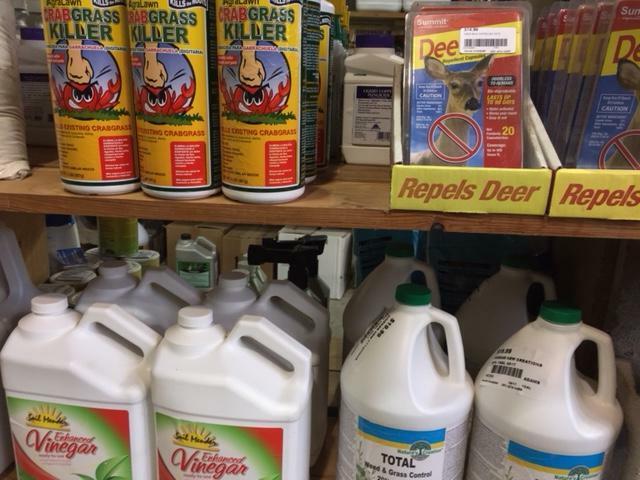 If pesticides, herbicides or fungicides are needed there are organic choices for these also. If you have questions about any organic methods, ask someone in the nursery for help. We can find an organic product for any problem. 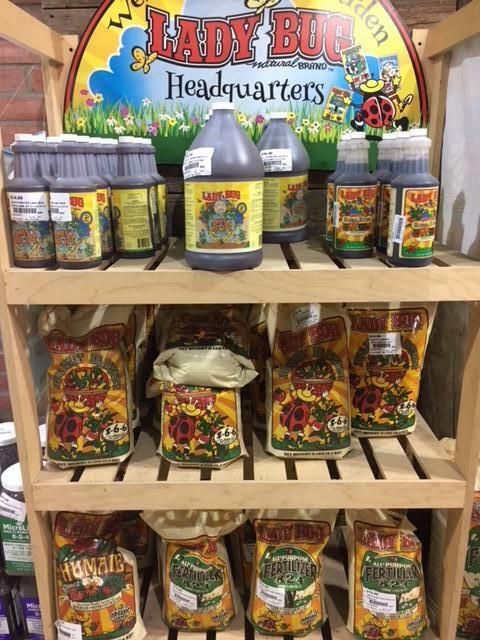 Come see us and start making you soil happy and healthy. Your yard and garden will be happy too. Believe it or not, it’s time to start preparing your spring vegetable garden. We are barely into 2018, but get out there and do a little work every day to get things ready for the beautiful spring weather. When considering where to plant your veggies this spring, don’t forget that you can use containers for lots of vegetables – especially tomatoes and peppers. Any tomato or pepper variety can be grown in a container, but the container should be no smaller than 20 gallons. We had a customer whose tomato plant outgrew a 65-gallon container! You will need to water tomatoes and peppers planted in containers daily and well, but this would be true for those planted in the ground too. 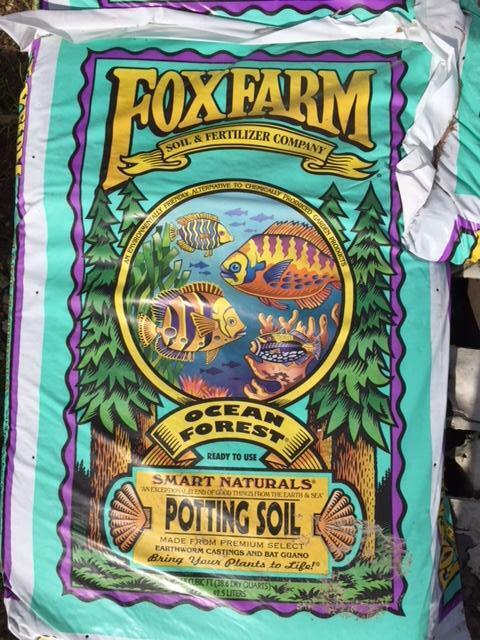 Whether planting in the ground or in a container, be sure to use the following guidelines when planting: Plant in full sun (at least 6-8 hours of sun), fertilize with a good organic fertilizer like Microlife 6-2-4, use a good garden soil that drains well and add a very light layer of mulch on top (adding a little leaf mold compost to the soil is a good idea too). 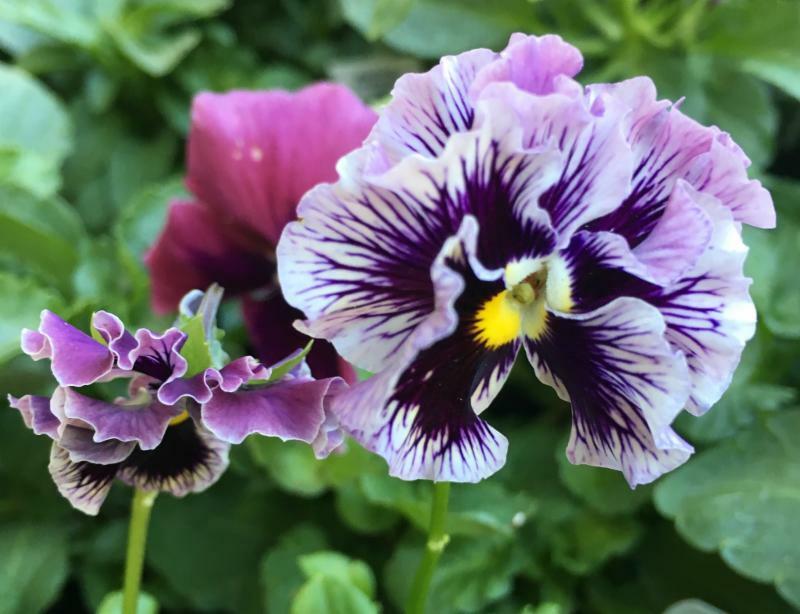 Another great tip – add a tablespoon of Magnesium Sulfate (Epsom salts) to the soil around these plants to increase the number of blooms and, therefore, fruits you will get to harvest. If you have an existing bed and are an organic gardener, don’t till the soil before you plant. You will disturb all those beneficial microbes that you have been working to build up in your soil. If you aren’t an organic gardener but would like to be, it will take TIME to make the switch. Just stop using synthetic chemicals to feed and treat and start using organic options. 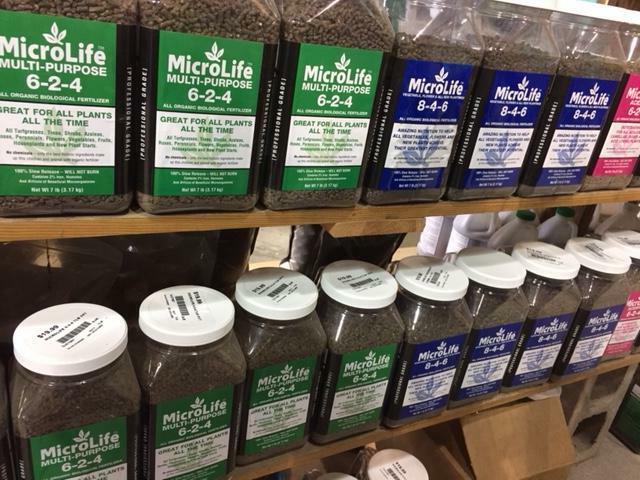 Once you start using Microlife to fertilize (and boost with a little agricultural molasses), it will be just a matter of time before you notice that your plantings are much healthier. The keys to a successful spring vegetable garden are full sun, good drainage, good air circulation, daily watering, daily check for pests and diseases, organic fertilizer, organic pest/disease control, nutrient-rich soil and a light layer of fine mulch. That’s it. Butterfly Ginger – This ginger blooms white from mid-summer to early fall. Best grown in sun to part shade. This ginger will grow 4′ to 6′ tall. Elaeagnus – Ebbinge’s Silverberry is a dense evergreen shrub. 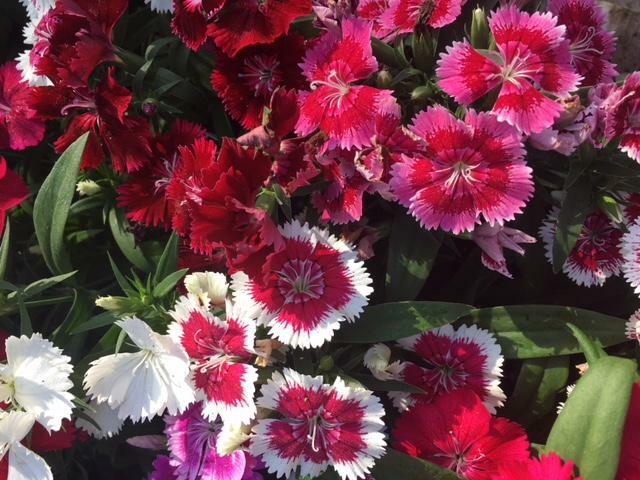 Blooms small, white, fragrant flowers in the fall that are followed by small red berries. Grows 8′-10′ tall and wide. Great hedges, foundation shrub or small tree. Full sun. 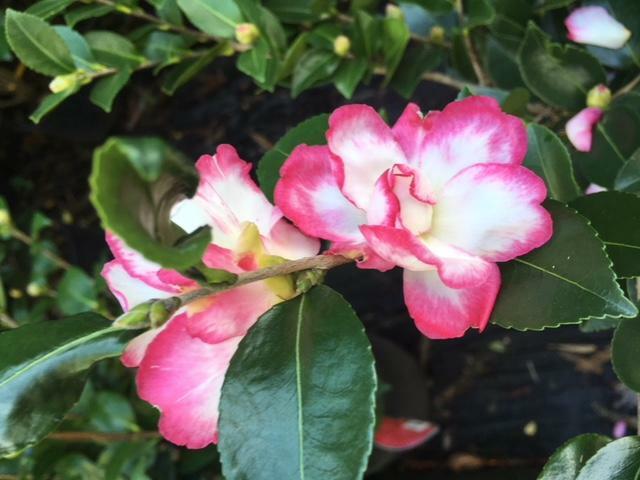 Gardenias – There are many varieties of Gardenias and they range in size from Radicans (6″ to 12″ tall and 2′ to 3′ wide) to First Love (5′ to 8′ tall and 3′ to 6′ wide). 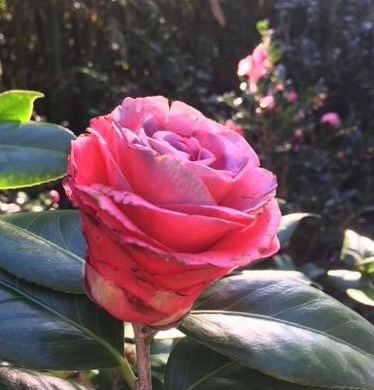 First Love blooms late spring through early summer, Radicans and Frost Proof bloom in the summer and August Beauty blooms spring through fall. Most people are familiar with the stark white blooms and amazing fragrance of gardenias. Heliotrope – Can be perennial, but mostly grown as an annual. Purple flowers with an intense fragrance that bloom spring through summer. Part to full sun. Night Blooming Jessamine (aka Night blooming cestrum or night blooming jasmine) – Very small greenish-white flowers bloom in the summer. Grows to 8′ to 10′ tall and 3′ wide. Part to full sun. Blossoms only open at night. Pittosporum – Pittosporum shrubs bloom with very small clusters of orange-blossom scented flowers in spring. The Japanese Mock Orange variety can grow to 10′ to 12′ tall and wide. The Variegated Japanese Mock Orange grows 6′ to 8′ tall and wide or even larger with age. 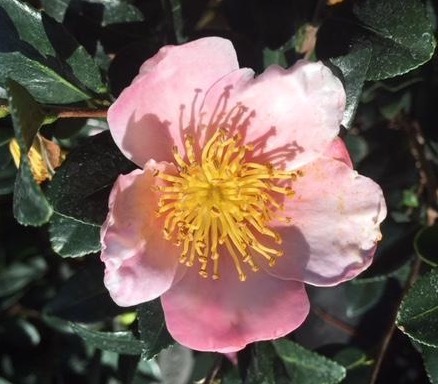 Wheeler’s Dwarf Pittosporum grows 2′ to 3′ tall and 4′ to 5′ wide. All like part to full sun. Viburnums- Eastern snowball viburnum blooms masses of white flowers through summer. It will grow 12′ tall and 10′ wide or larger with age. This shrub requires part to full sun. This shrub is deciduous. Spring is just around the corner and I am looking forward to the aromas of freshly mowed grass and sweet smelling blooms. 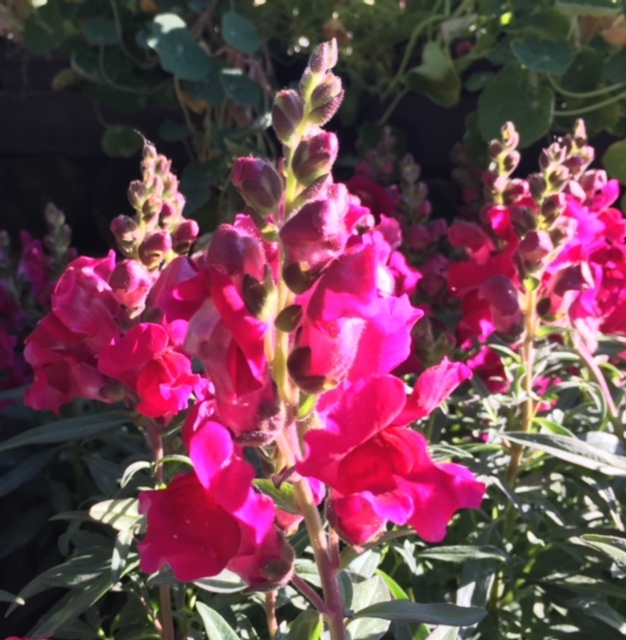 Time to add some sweet smelling plants to your garden too.